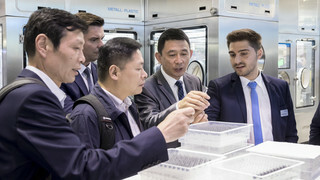 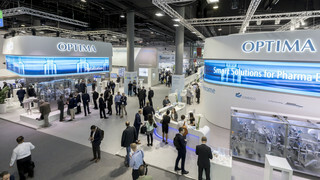 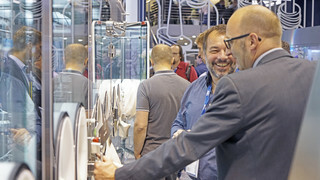 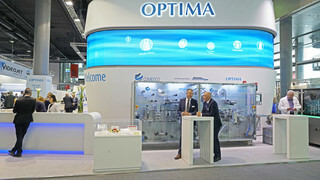 “During the past three years, Optima has made the largest technical development among the major manufacturers.” “Optima is noticeably customer-oriented and innovative.” These are some of the statements we captured at ACHEMA 2018. 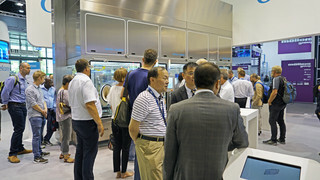 Our booth’s outstanding futuristic design captured visitors’ attention. 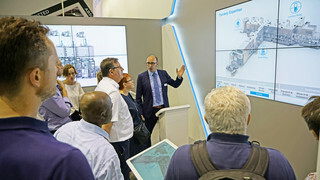 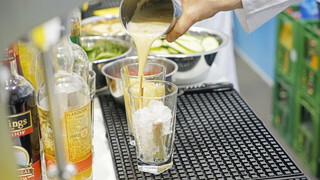 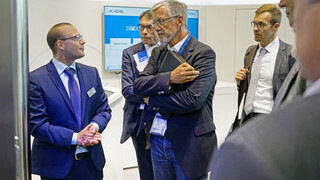 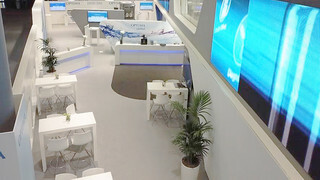 Our new technologies and processes – CSPE, DECOpulse and STISO – were the guests’ focus of interest. 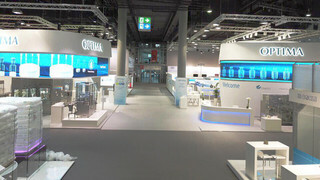 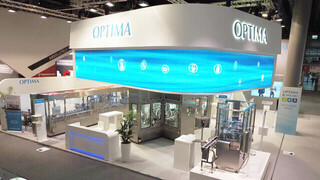 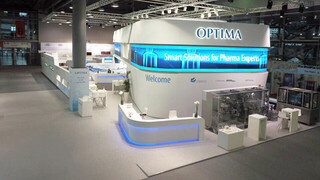 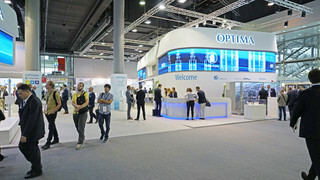 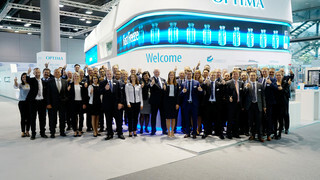 The first day of the fair, a Schwaebisch Hall county council’s delegation had a look at Optima’s booth at ACHEMA. 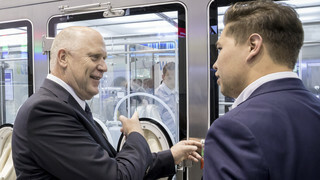 This included prior Minister of Commerce, Walter Doering. 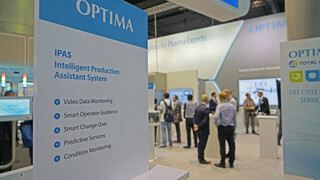 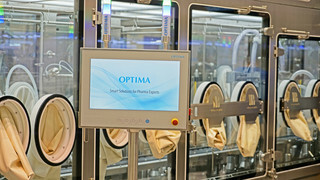 CEO Hans Buehler and marketing director Sabine Gauger gave the county council representatives a look into Optima Pharma’s newest technologies. 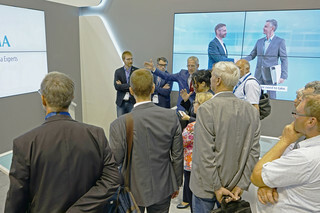 Television at a fair booth? 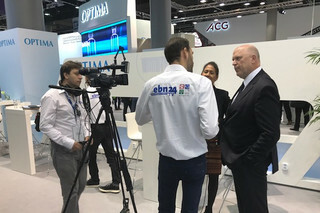 A camera team, interviewing Gerhard Breu, caught visitors’ attention. 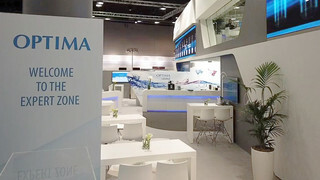 As soon as the film is online, the link will be published here. 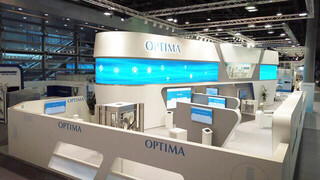 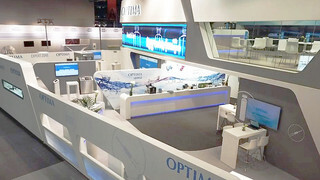 Even among a very young target group, Optima managed to impress. 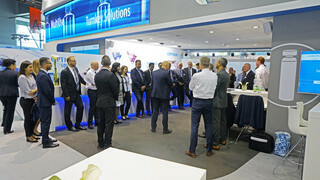 A vocational college class from Ingelfingen (Germany) and various other student groups stopped by our booth. 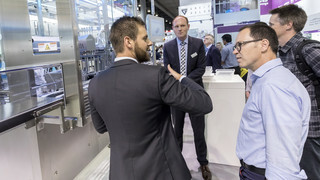 The upcoming pharmaceutical production technicians were especially excited about our new Sterility Test Isolator and the filling processes. 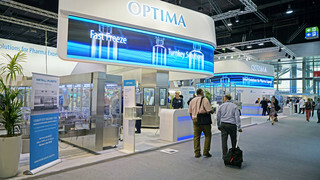 They exchanged their impressions at lunch in the Optima Lounge. 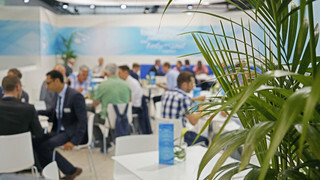 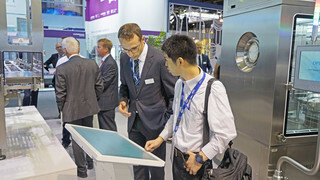 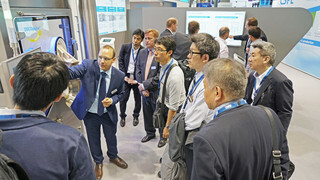 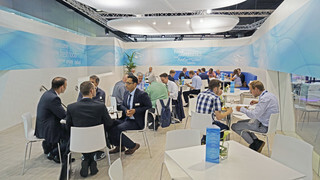 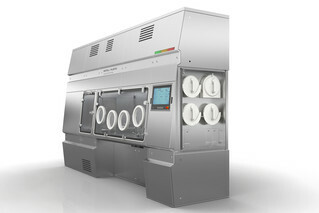 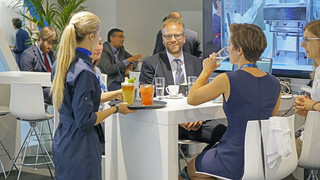 We personally invite you to take part of an expert discussion about your regards at Achema. 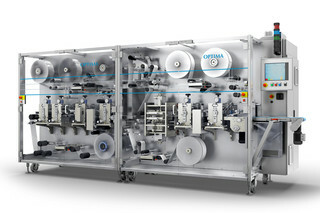 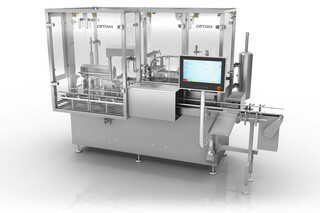 Learn directly from our expert project partners how quickly and safely build up flexible production with the Optima MultiUse turnkey line. 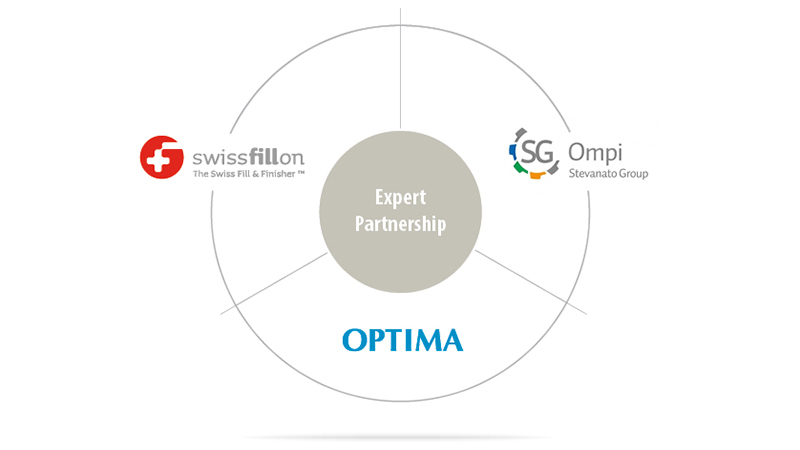 In meanwhile, be able to launch your first batches in a timely manner and reduce your time to market with Swissfillon CMO solutions.